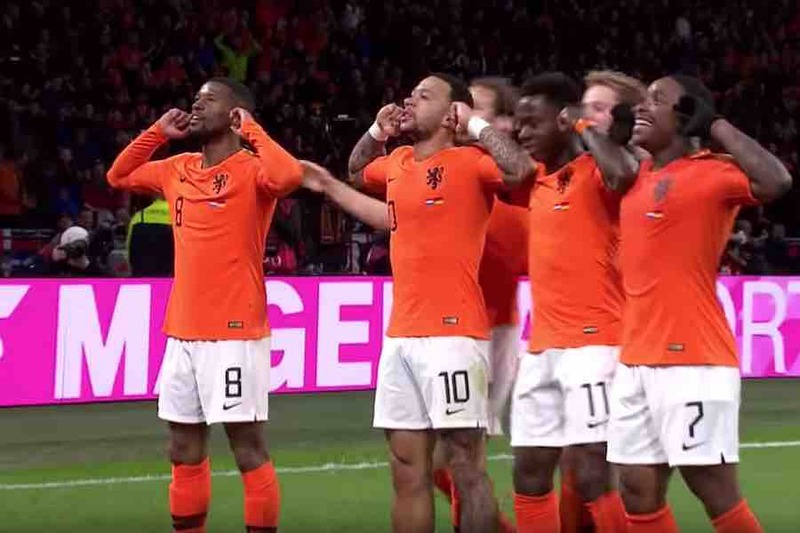 Liverpool midfielder Gini Wijnaldum has been giving his thoughts on yesterday evening’s Euro 2020 qualification defeat to Germany in Amsterdam. Wijnaldum and club-mate Virgil van Dijk both played as the Dutch slipped to a 2-3 defeat. His role in an orchestrated goal celebration with scorer Memphis Depay and other members of the team after coming from 0-2 goals to level the scores was looking ill-advised by the time Nico Schulz scored a last-minute winner. Writing on Twitter, Wijnaldum said: “Our team showed character and resilience by coming back stronger in the second half. “It felt like the three points were on the table for us, which makes it that much more painful to go home empty handed. Off The Post is dedicated to bringing you all the latest football news, views, rumour and humour. Get your transfer gossip fix and everything else you need to know about what’s going on in the world of the beautiful game. © Voz Media Ltd 2017. All rights reserved. Get the latest football news in your inbox.